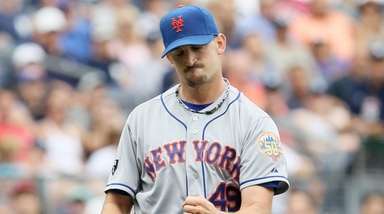 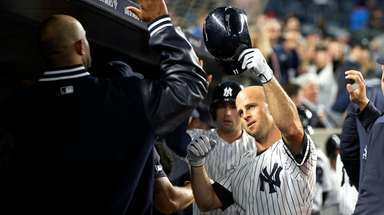 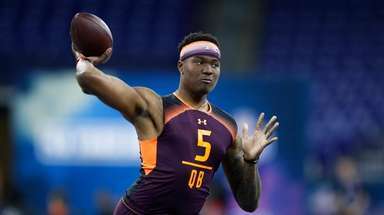 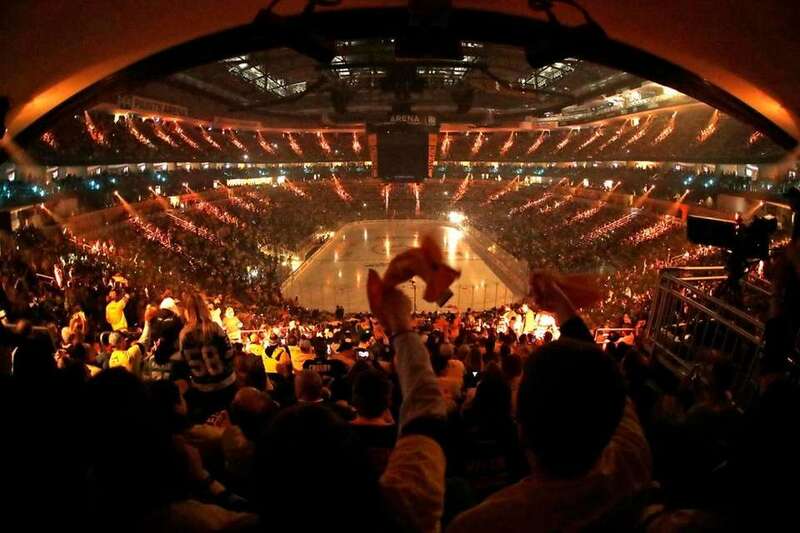 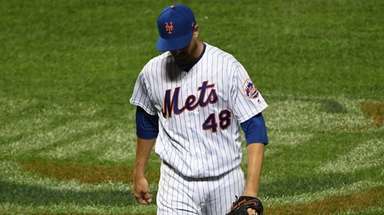 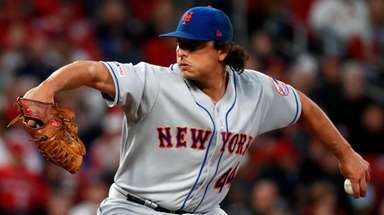 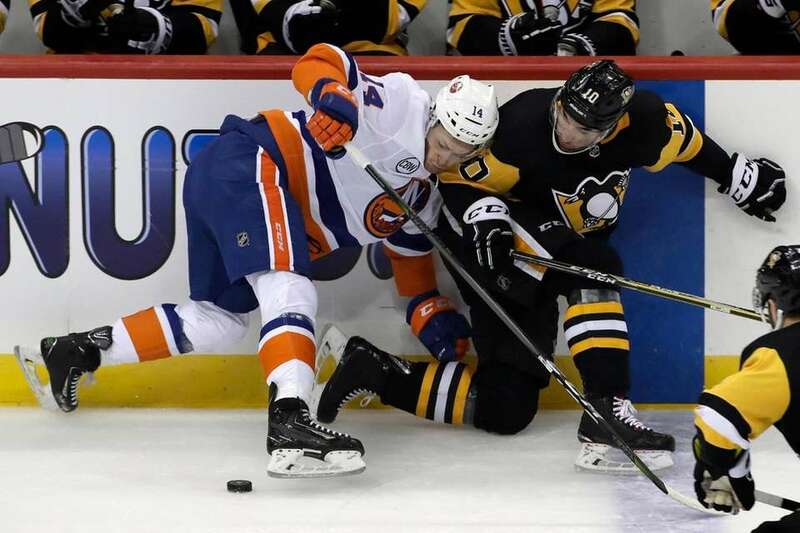 The Islanders beat the Pittsburgh Penguins, 4-1, in Game 3 of their Eastern Conference quarterfinal series on Sunday at PPG Paints Arena in Pittsburgh. 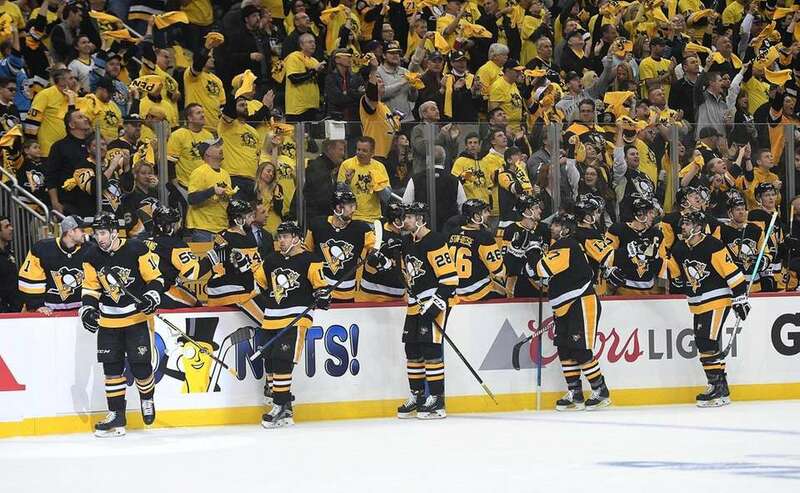 Garrett Wilson #10 of the Pittsburgh Penguins celebrates with teammates on the bench after scoring a goal during the first period in Game Three of the Eastern Conference First Round against the New York Islanders during the 2019 NHL Stanley Cup Playoffs at PPG PAINTS Arena on April 14, 2019 in Pittsburgh, Pennsylvania. 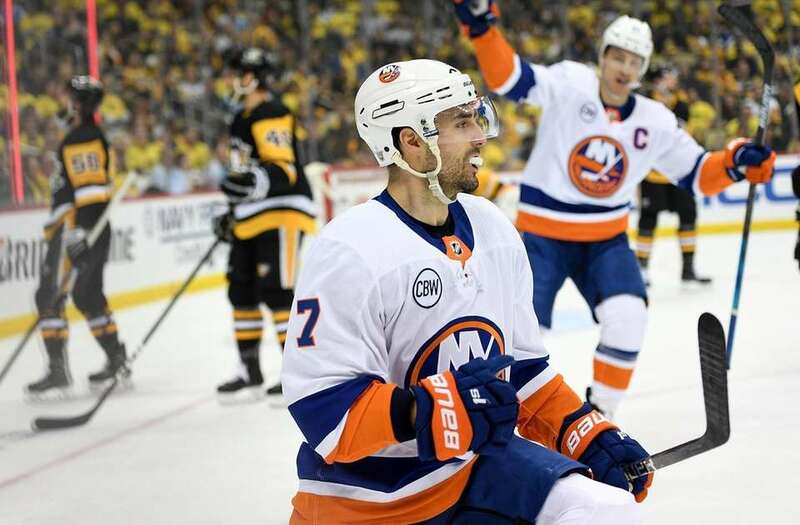 Jordan Eberle #7 of the Islanders celebrates after scoring a goal during the first period in Game Three of the Eastern Conference First Round against the Pittsburgh Penguins during the 2019 NHL Stanley Cup Playoffs at PPG PAINTS Arena on April 14, 2019 in Pittsburgh, Pennsylvania. 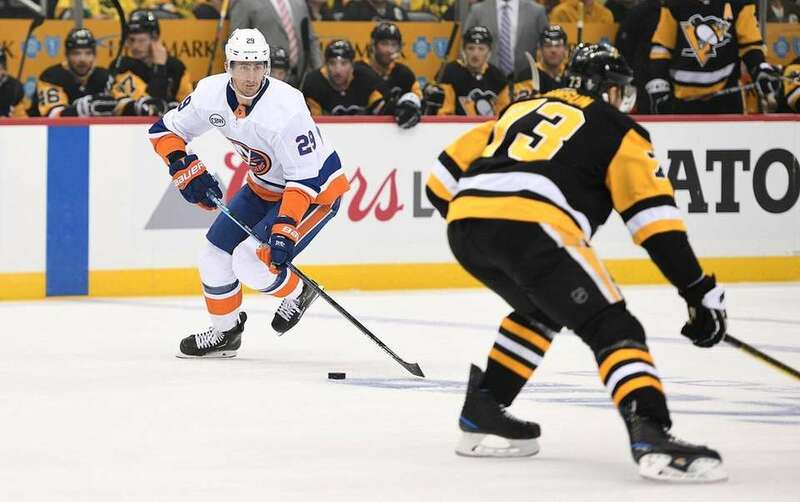 Brock Nelson #29 of the New York Islanders skates with the puck against Jack Johnson #73 of the Pittsburgh Penguins during the first period in Game Three of the Eastern Conference First Round during the 2019 NHL Stanley Cup Playoffs at PPG PAINTS Arena on April 14, 2019 in Pittsburgh, Pennsylvania. 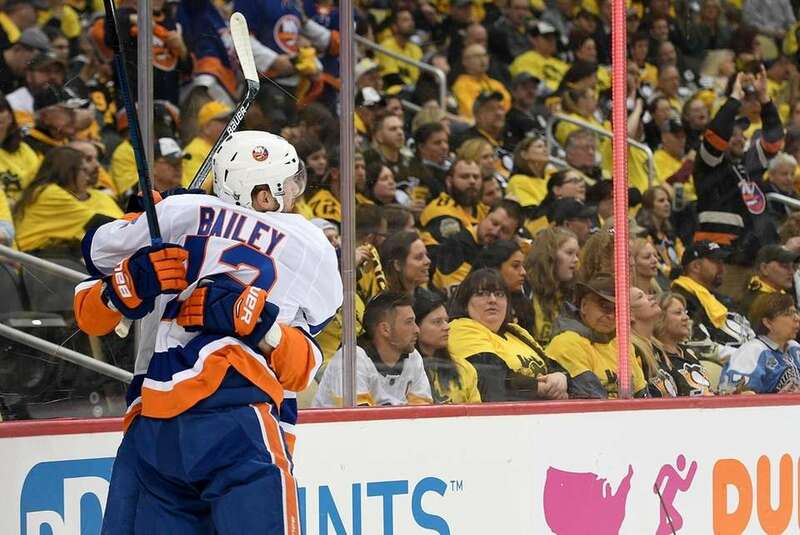 Brock Nelson #29 of the New York Islanders hugs Josh Bailey #12 after scoring a goal during the first period in Game Three of the Eastern Conference First Round against the Pittsburgh Penguins during the 2019 NHL Stanley Cup Playoffs at PPG PAINTS Arena on April 14, 2019 in Pittsburgh, Pennsylvania. 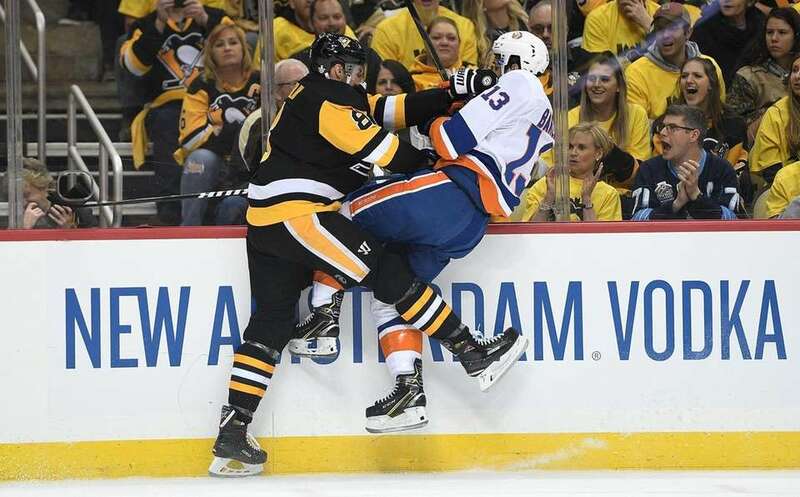 Mathew Barzal #13 of the New York Islanders is checked by Brian Dumoulin #8 of the Pittsburgh Penguins during the first period in Game Three of the Eastern Conference First Round during the 2019 NHL Stanley Cup Playoffs at PPG PAINTS Arena on April 14, 2019 in Pittsburgh, Pennsylvania. 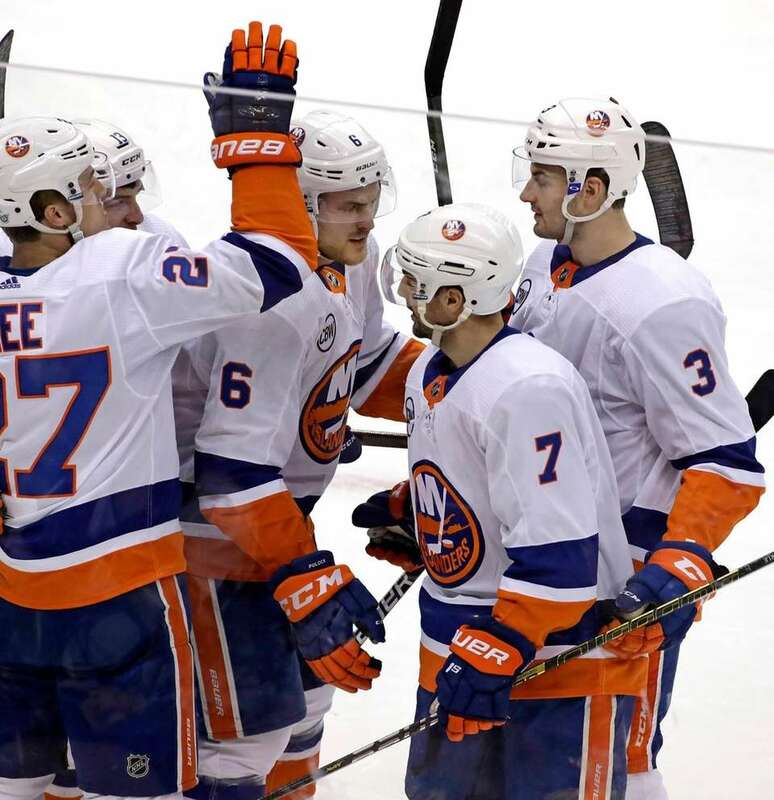 Islanders' Jordan Eberle (7) celebrates his goal during the first period in Game 3 of an NHL first-round hockey playoff series against the Pittsburgh Penguins in Pittsburgh, Sunday, April 14, 2019. 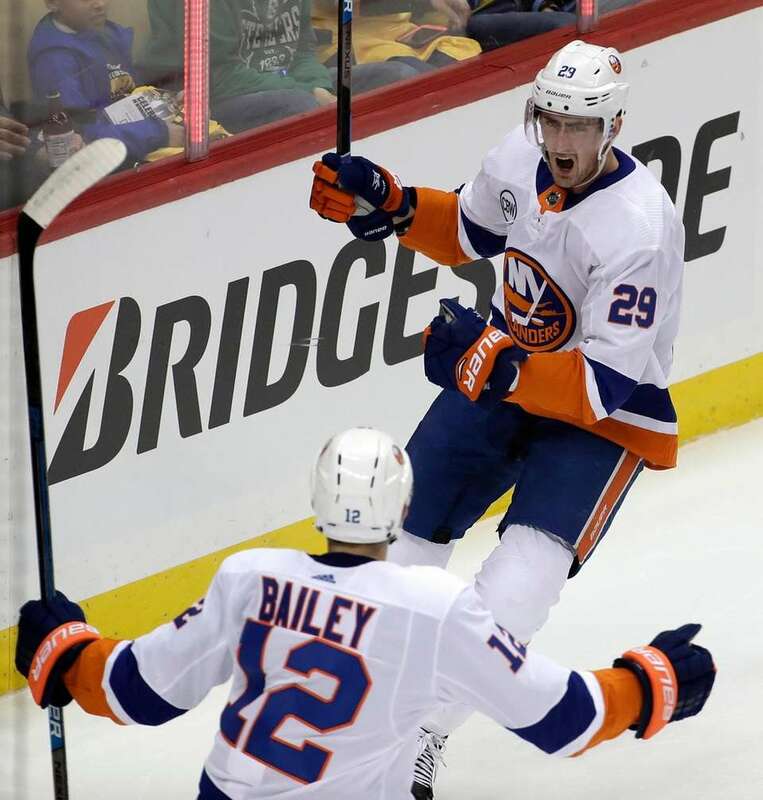 Islanders' Brock Nelson (29) celebrates his goal with Josh Bailey (12) during the first period in Game 3 of an NHL first-round hockey playoff series against the Pittsburgh Penguins in Pittsburgh, Sunday, April 14, 2019. 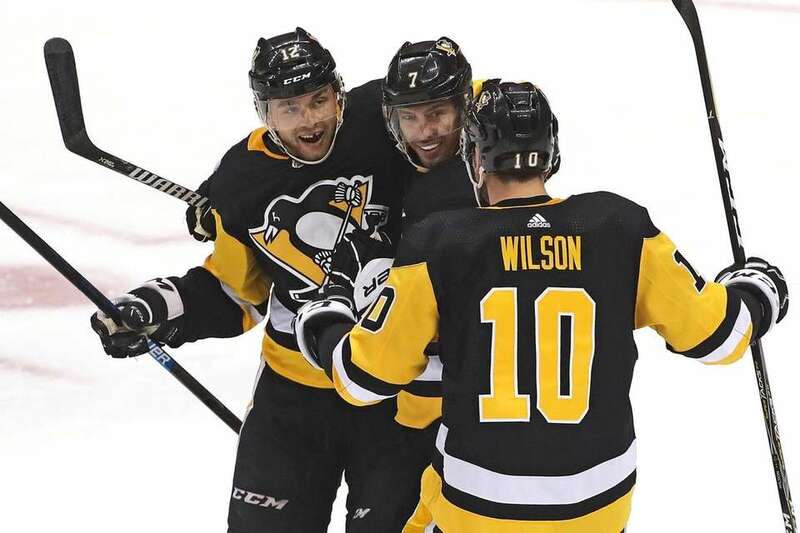 Pittsburgh Penguins' Garrett Wilson (10) celebrates his goal with Dominik Simon (12) nd Matt Cullen (7) during the first period in Game 3 of an NHL first-round hockey playoff series against the New York Islanders in Pittsburgh, Sunday, April 14, 2019. 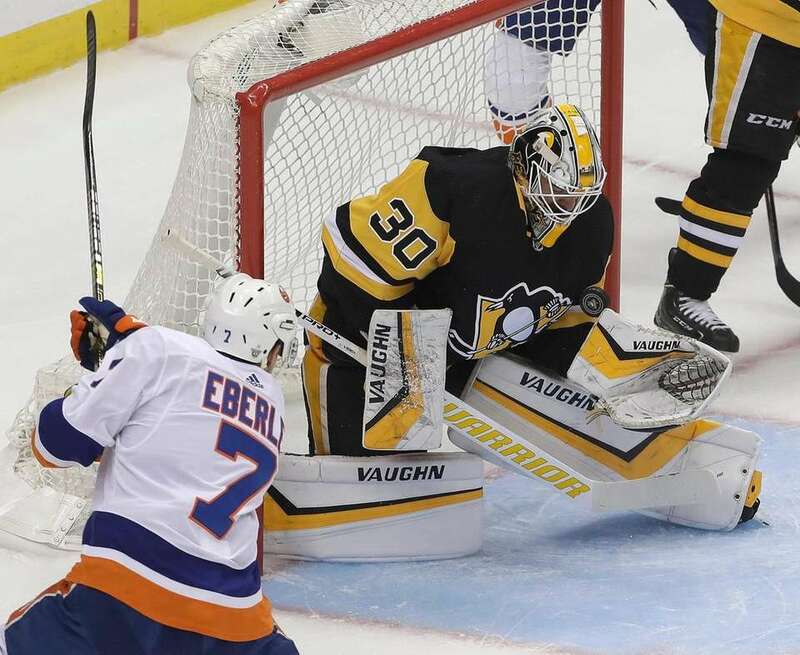 Pittsburgh Penguins goaltender Matt Murray (30) stops a shot by Islanders' Jordan Eberle (7) during the first period in Game 3 of an NHL first-round hockey playoff series in Pittsburgh, Sunday, April 14, 2019. 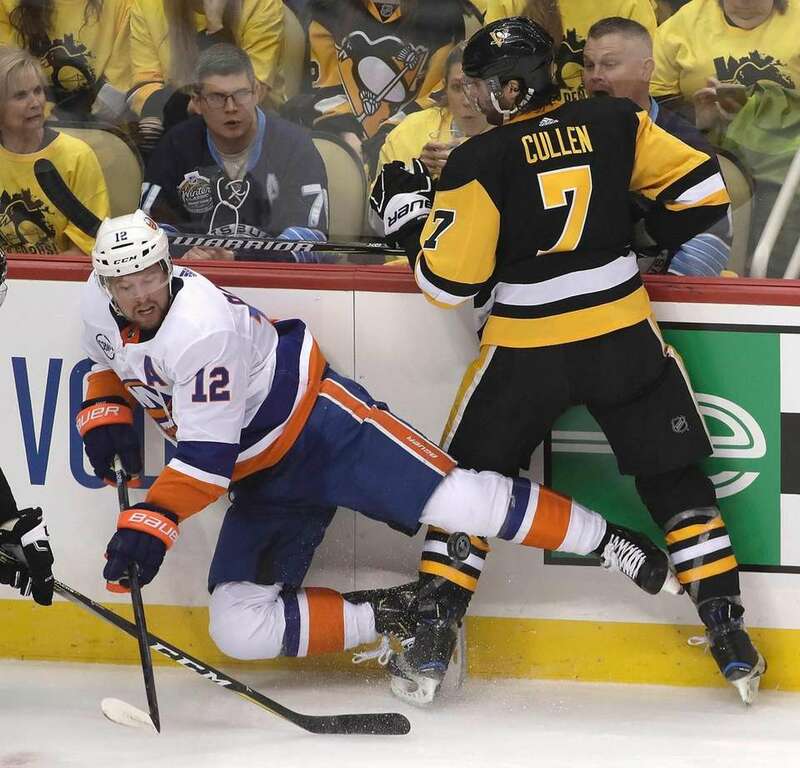 Pittsburgh Penguins' Garrett Wilson, right, collides with New York Islanders' Tom Kuhnhackl, left, during the first period in Game 3 of an NHL first-round hockey playoff series in Pittsburgh, Sunday, April 14, 2019. 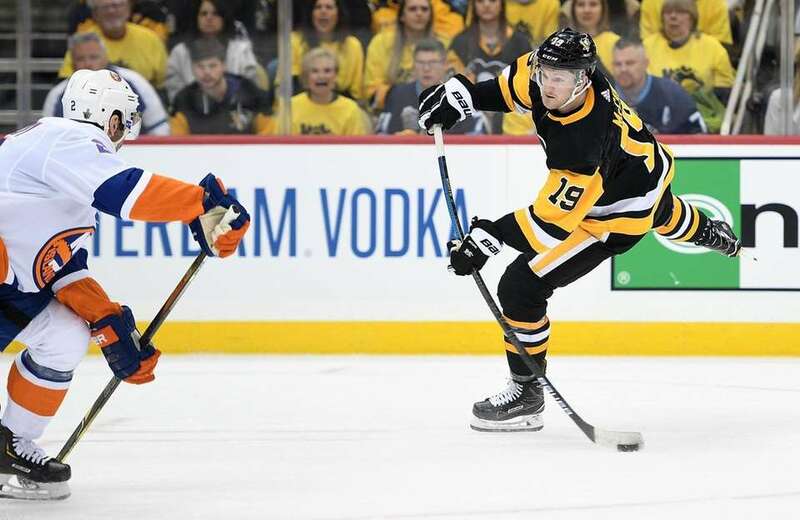 Jared McCann #19 of the Pittsburgh Penguins attempts a shot as Nick Leddy #2 of the New York Islanders defends during the second period in Game Three of the Eastern Conference First Round during the 2019 NHL Stanley Cup Playoffs at PPG PAINTS Arena on April 14, 2019 in Pittsburgh, Pennsylvania. 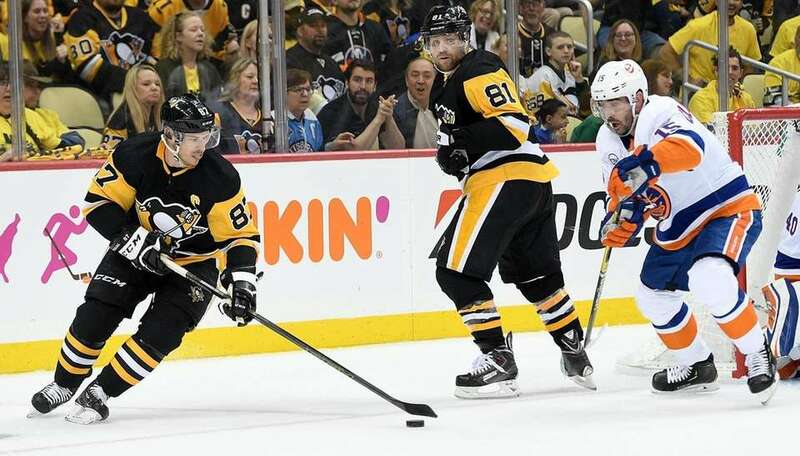 Sidney Crosby #87 of the Pittsburgh Penguins controls the puck against Cal Clutterbuck #15 of the New York Islanders during the second period in Game Three of the Eastern Conference First Round during the 2019 NHL Stanley Cup Playoffs at PPG PAINTS Arena on April 14, 2019 in Pittsburgh, Pennsylvania. 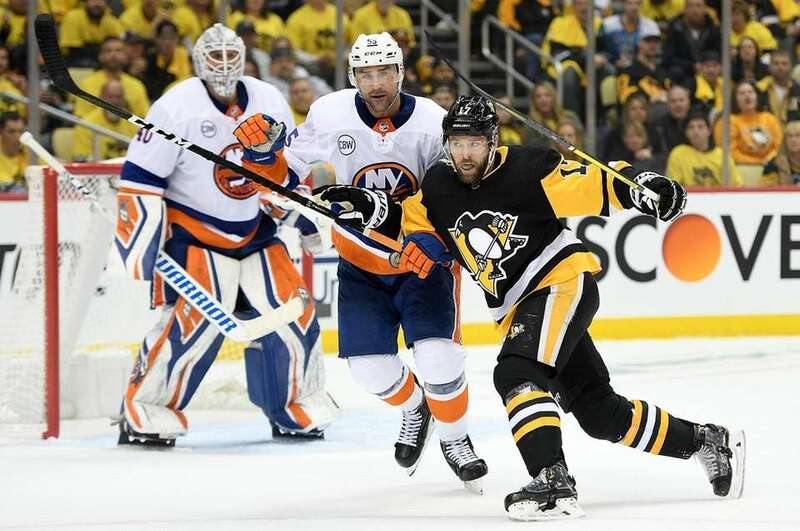 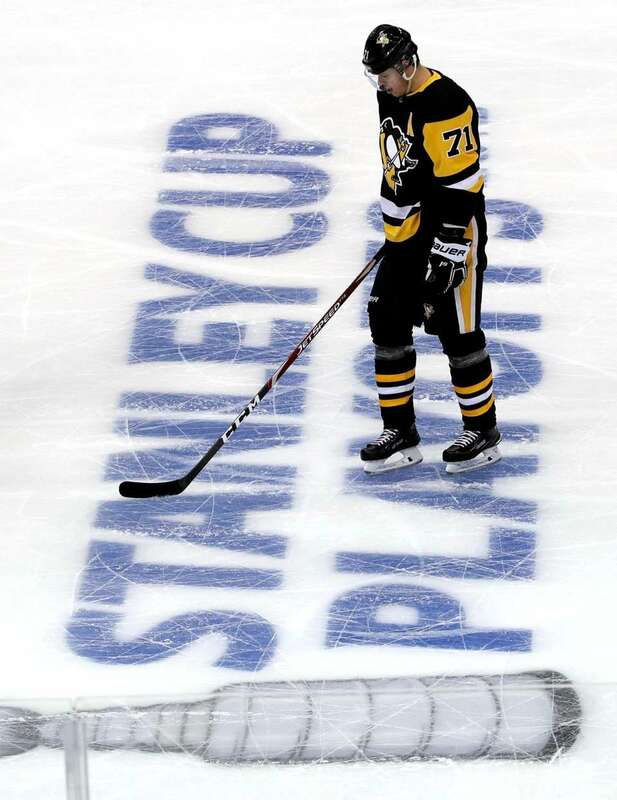 Bryan Rust #17 of the Pittsburgh Penguins battles for position with Johnny Boychuk #55 of the New York Islanders during the second period in Game Three of the Eastern Conference First Round during the 2019 NHL Stanley Cup Playoffs at PPG PAINTS Arena on April 14, 2019 in Pittsburgh, Pennsylvania.